Whether you are looking to develop a new product or component part, or simply looking to relocate your component part manufacturing; Hi-P delivers exceptional results to meet your exact specification and drawings. 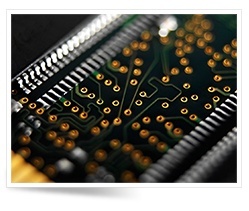 Allow our company to become your single source for custom components manufactured affordably. As a trusted source, we have helped hundreds of companies around the world succeed by delivering custom components on time, affordably, and without compromising quality. The hyper- accelerated pace of innovation in electronics technology has created a constant demand for newer and faster products and applications. Being the first to market is critical for the success of our clients. Hi-P is highly automated, allowing us to deliver the highest precision products at the most competitive cost. From internal peripherals and power supplies, to external components such as tablets, notebooks, e-readers, Hi-P ensures all customer expectations are met and business partnerships prosper.